Tomorrow at Arrowhead Stadium, the KC World Cup bid committee and Kansas City mayor, Mark Funkhouser will be hosting a press conference. 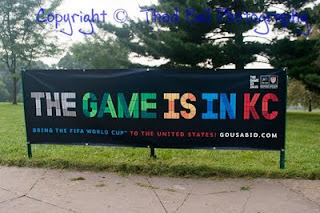 Funkhouser is set to make "a major statement" about the city's bid to host the World Cup in Kansas City. Since the announcement of the press conference was made earlier today, I've been trying to figure out what the "major statement" by the mayor will be. Since the mayor is there, it definitely has to be something involving the city itself. This means it's unlikely to be anything about the World Cup itself or the cities that will be named in the USA's bid, although the USSF is going to be narrowing the bids down to their final 18 in December(slide 6). I've been doing some research into what it could be, and I found this in my search. What this is, is the Host City Agreement that cities need to sign to be part of the bid process. 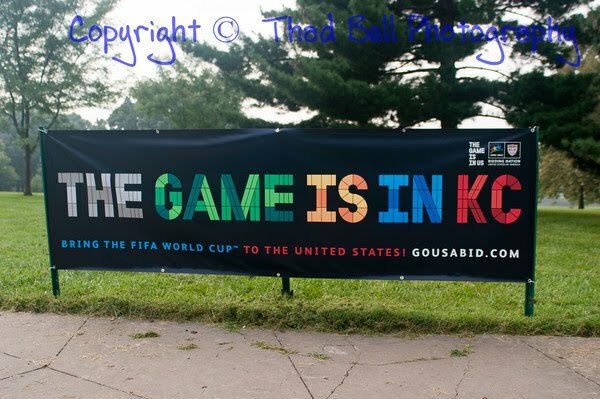 It breaks down the hosting responsibilities of the city for the World Cup, everything from the selection of the cities, to posters advertising the event, to public transit, to even the base camps for the team (the link above from Hillcrest Road provides a ton of information about KC's bid). It needs to be signed by the city for the city to be considered in the final hosting for the country biding for the World Cup. I've been able to confirm from a source that this is indeed what the announcement is supposed to be tomorrow, the fact that the city of Kansas City has signed the Host City Agreement. This is a big step for the city and the bid committee in their work to get the city of Kansas City to be one of the final 12 cities that will hopefully host either the 2018 or the 2022 World Cup. The MLS Generation Adidas team played their first game of their South African tour today against the reserve team of the Orlando Pirates. The MLSers pulled out a 2-0 win over the Pirates thanks to goals by DC United's Chris Pontius and the Chicago Fire's Patrick Nyarko. Wizards defender/midfielder, Chance Myers played the full 90 minutes at right back for the GA team, putting in an outstanding performance. Roger Espinoza came on as a second half sub and played the final 32 minutes for the GA team. The GA team will play their second game will be Thursday, December 3rd, although their opponent hasn't been named yet. The NCAA men's tournament is down to their final 8 teams, and one of those teams has gotten a big hand from plenty of local KC area players. The Drake Bulldogs came from behind to beat Boston College 6-4 yesterday in Boston to clinch a spot in the Elite Eight against UNC. Five of Drake's 6 goals were scored by 4 Kansas City players. The four KC players, Kevin Shrout, Garrett Webb, Luke Gorczyca, and Matt Kuhn are just 4 of 7 KC players on Drake's roster. This is a great showing for Kansas City itself that a team this far into the NCAA tournament is so reliant on players from the Kansas City area. Congratulations to the team and good luck to the team against the Tar Heels. And for those interested in seeing Drake's come from behind victory, check out the highlights here. I've read basically all of Jimmy Conrad's ESPN/CNNSI articles over the years and have thoroughly enjoyed the humor that Conrad has brought. It's one of the things that's made him a favorite not just among Wizards fans, but fans around the league, they see him as a potential play-by-play guy after his playing career is over. But his latest entry is a little different as it doesn't appear to have the usual humor that Conrad brings, unless it is very subtle. Conrad comes up with 3 ideas for changing MLS so that the "teenage league" can break away from it's "American sports brethren". His first point reads like it could be from any one of the numerous new posters on Bigsoccer who post these types of ideas daily it seems. He speaks of breaking away and telling our "parents that we hate them and 'what do they know about anything,'" yet his first point is to go ahead and move in with our "best friend's parents" because they have the "cool entertainment center" known as promotion and relegation. Conrad comes up with the idea of splitting a 20 team MLS into two 10 team leagues with no inter mixing games between those two teams (except for the Open Cup). Basically the same set up as our "soccer brethren" around the world. Remember as a kid how you always wanted to live at your best friend's house cause you thought it was cooler there? This is the same premise basically, dump your American sports style parents for your European sports parents. So instead of running with our own identity as Conrad said, we'd just be conforming our identity to that of our "best friend's parents". While his point on MLS 2 create a bitter feeling is correct, he glosses over the bigger point of owners investing in an American franchise system suddenly not having the ability to market their team as "major league". He down plays the issue of the lower league and getting "engaged owners". While having engaged owners is nice, you bring yourself to the problem of those "engaged owners" over spending their ability to get the glory of winning the league, and maybe it happens, but then the owners will depend on that happening yearly to offset the losses they take. See Leeds' failing to get into the Champion's League being the start of their downfall, or teams like Liverpool, Arsenal, etc relying on making the Champion's League group stage and those money makers to help them break even. His possible positive side affect is also off. He talks about it making the US Open Cup into a hotter ticket and hotly contested. I fail to see how making an MLS 2 would make the Open Cup more hotly contested, it'd be a similar situation as we currently have with USL-1. Those match ups between MLS and USL-1 aren't exactly hot tickets, especially in MLS markets. And while promotion relegation adds drama at both ends of the table, that's not any different than how MLS was this year, where 14 of the 15 teams in the league were still fighting for a playoff spot with 2-3 weeks left in the season, I mean the MLS Cup champion Real Salt Lake got into the playoffs thanks to other results going their way after they started the day outside the playoff picture. His second idea is to make MLS a monopoly by buying up the USL and the MISL and use them both as places for players who don't get minutes for the first team to get some competitive games. Let's ignore the obvious anti-trust issues that could occur if MLS were to do this and focus on the rest. While I am a big proponent of the reserve league and really want it to return, I'm not sure I'm a big fan of having a minor league like baseball. Unlike baseball, many rookies that come to MLS out of college are ready to contribute right away (he discusses the draft in his third point, but we'll focus on a world where the draft still exists here). Guys like Michael Harrington, Jonathan Leathers, and Matt Besler or just some of the Wizards players over the last 3 years who have contributed in their first season. I've always considered MLS more like football or basketball where players contribute right away. If this was even a half way potential idea, it would have to be a situation similar to the loan system in the rest of the world, which many MLS teams already utilize with the way the USL already is. This also brings in potential problem with his first point on the Open Cup, as making the system like minor league baseball would hurt the idea of the Open Cup with teams having most of their minor league team being made up of players from the parent club. Overall I don't find much fault with this idea other than the aformentioned anti-trust issue, but other uses of the minor league and indoor system would not be a bad idea at all. More use of loans and use of an indoor league in the winter could certainly help younger players like a Matt Marquess, a Boris Pardo, or a Rauwshan McKenzie get more playing time. In fact plenty of USL-1 and lower players have pulled double duty playing indoor in the winter as well (although that's more of a job/money issue). His third point is to do away with the MLS college draft, which I know plenty of soccer purists in this country would love. I do like his idea for players that go to college for less than 4 years, giving the team that brought them up having first right of refusal for the player. It allows teams to keep the players they helped to develop. Although MLS already this type of deal in place in some form. For instance, Matt Kassel at the University of Maryland came through New York's youth system, should he decide to turn pro, New York has first right to him before he goes into the draft. It's the same for any player in any teams current system. As for the 4 year graduates, that can go either way, I think the draft is a "fair" way to divide up the talent that has come through college to avoid the "fly over country" getting the lesser talents after the more glamorous teams have made their selections. I do understand letting the players choose where they end up going as well. The one point that Conrad does not touch on really are those players that weren't part of a teams' youth academy before they went off to college, do they follow the same path as 4 year graduates, are they able to choose where they go? If not, how to do they get onto a team when they decide to leave? That'd be point in Conrad's idea that needs to be addressed. I meant to post this sooner than the end of the season, but it slipped my mind. Anyway, this season without a reserve league, the Swope Park Rangers played games against local colleges (UMKC, Creighton, and Missouri State), regional PDL teams (Brass, Meance, Demize), and other teams (Thunder, US U-17 team) throughout the season to get games. The Rangers played 12 games (one against Minnesota being only a half) this season, putting together a 10-0-2 record, the only draws coming in their first two games against the Minnesota Thunder and Crieghton. The Rangers scored a total of 54 goals (an average of 4.7 per game) while allowing only 7 goals for a GAA of .61. Five players appeared in all 12 games for the Rangers; Michael Kraus, Kurt Morsink, Matt Marquess, Boris Pardo, and Rauwshan McKenzie, while Abe Thompson appeared in 11. The leading scorers for the Rangers were Thompson with 12, Kraus with 9, and Morsink and Graham Zusi with 5. The Rangers closest games were their 2-2 draw with Creighton and 1-1 draw with Minnesota, while their largest win was an 11-0 blow out of the Springfield Demize. They played the Brass 4 times during the season, and Creighton twice, the other 6 teams they only played once. Hopefully in the near future we'll see a return of some kind of reserve league so that the Rangers can get more games against better competition than college kids. The MLS season is over so there are fewer players now, and it also means that some players start to move to new teams. Two former Wizards made moves today. First, Shavar Thomas was selected by Philadelphia in today's expansion draft and will be heading east to play for the Union. The other former Wizard to move today, was Abe Thompson, who was waived by Houston, but in turn was picked up by Real Salt Lake in the waiver draft. Meanwhile, two former Wizards picked up winners medals this past week. Yura Movsisyan in his last game inn MLS won MLS Cup with Real Salt Lake, while Chris Konopka was on the bench for Sporting Fingal in the FAI Ford Cup. Chris Klein - LA Galaxy - Came off the bench and played 41 minutes in LA's 1-1 (5-4) loss on penalty kicks in the MLS Cup final, Klein made his penalty kick in the shoot out. Yura Movsisyan - Real Salt Lake - Started and played 75 minutes in RSL's 1-1 (5-4) penalty kick win over LA in the MLS Cup Final. Pat Healey - Baltimore - Played in Baltimore's 19-8 win over Philadelphia. Vicente Figueroa - California - Played in both of California's games last week, they're 5-4 loss to San Diego, and the team's 6-4 win over Revolucion Tijuana, where he scored a goal. Paul Wright - San Diego - Played in both of San Diego's games this past week, had 3 assists in their 5-4 win over California and played in their 15-2 win over Las Vegas. Eloy Colombano - Ferro Carril Sud (Olavarría) - Argentina - Ferrocarril lost 5-0 to Grupo Universitario on the 21st. Ferrocarril drew with Liniers 0-0 today. Jermaine Hue - Harbour View - Jamaica - Harbour View defeated Boys Town FC 1-0 on the 22nd. They played St. Georges SC tonight. Eddie Johnson - Fulham - England - Dressed but did not play in Fulham's 1-0 loss to Birmingham. Did not dress in Fulham's 3-0 win over Blackburn. Chris Konopka - Sporting Fingal FC - Did not play in Fingal's 2-1 win over Sligo Rovers in the FAI Ford Cup Final. Akeem Priestly - FK Mughan - Azerbaijan - Started and played 90 minutes in Mughan's 1-0 loss to Baku. Matt Taylor - FSV Frankfurt - Germany - Dressed but did not play in Frankfurt's 3-1 win over RW Oberhausen. Diego Walsh - Wellington Phoenix - Australia - Started and played 90 minutes in Wellington's 1-0 win over the Newcastle Jets. The Philadelphia Union have finished up with their expansion draft, and all the worry from Wizards fans turns out to be for not. The Union did not take Kevin Hartman, Matt Besler, Herculez Gomez, or any other player on the team. The Wizards were one of five teams, along with RSL, Houston, Dallas, and TFC to not have a player selected in the expansion draft. Here is Philadelphia's 10 picks in the draft: Brad Knighton (New England), David Myrie (Chicago), Shavar Thomas (Chivas USA), Jordan Harvey (Colorado), Shea Salinas (San Jose), Stefani Miglioranzi (LA), Andrew Jacobson (DC), Nick Zimmerman (NY), Alejandro Moreno (Columbus), Sebastian LeToux (Seattle). There is also a rumor from Steven Goff that the Union has traded allocation money to RSL for goalkeeper Chris Seitz, which could explain why RSL lost no players in the expansion draft to the Union. So in less than half an hour, Philadelphia is going to be putting in their list of players that they are selecting in this year's expansion draft. With all the talk the last two days about it, and reading everything that people are saying, it's been interesting. A lot of Philadelphia fans are thinking that Kevin Hartman would be a great pick up for them, an immediate starter, which is most definitely true. Hartman would come in and possibly immediately be handed the captains arm band depending on who else is picked up by the Union. He's been the most consistent Wizards player over the past two years and has been my MVP pick the last two years. Losing him would be a massive blow for the Wizards. My original thought for Philly's pick, Herculez Gomez hasn't gotten a lot of mentions, Gomez would be an immediate starter in Philly's team, but the lack of mention certainly has shaken my thought in who would be taken. Another name being mentioned a lot by bloggers and pundits, is the Wizards first round pick in the 08 draft, Matt Besler. He'd give Philadelphia a versitile defender who can play both centrally and on the left. My thought, and worry, now is that the Union will go and grab Besler with their pick. He offers youth with some starting experience in the league that would give them something to work with. His ability to play as a wide defender and centrally gives Peter Nowak the potential to play him as a left back in a 3 man system that he liked to use when he coached DC. We'll find out what happens soon, but I also wouldn't be surprised if the Wizards have already worked out some under the table deal with the Union on who to take, if anyone. A note about Jimmy Conrad's appearance against Denmark last week that I forgot to mention. The cap was Conrad's 27th appearance for the US team as a member of the Wizards. This put Conrad all alone in second place on the list of capped players while with the Wizards. Conrad passed Preki and his 26 caps. The team leader is Josh Wolff with 38. I will say though that I am missing a lot of caps for Wizards players that played for countries other than the United States, including national teamers like Uche Okafor, Digital Takawira, Gary Glasgow, Scott Sealy and others. After tomorrow's expansion draft, the main focus for MLS will turn to the league's collective bargaining agreement which is set to expire in January. A little bit of news on the issue has come out in the past day. Today FIFPro asked FIFA to step into the potential labor dispute because MLS doesn't follow FIFA's Regulations on the Status and Transfer of Players. FIFPro has a long list of complaints against the league; there are players without a guaranteed contract, player contracts are routinely terminated by the league, MLS acts as a cartel, there is no freedom of movement for any MLS player, and virtually any player can be transferred to another club in the league without his consent. The players' union and FIFPro were dealt a blow later in the day, though, as Grant Wahl with Sports Illustrated received word from FIFA that it will not interfere in the collective bargaining negotiations. FIFA's statement in part said, "FIFA understands that this domestic issue is being resolved in accordance with U.S. labor laws and does not involve the U.S. Soccer Federation. FIFA will not interfere in the process. We have been assured that FIFA's regulations have been and will be respected." This is definitely an important issue to watch as the next few weeks go by. There are a few deviations from my list earlier in the week, namely, Kevin Souter being protected over Santiago Hirsig, and Jonathan Leathers and Josh Wolff being protected over Matt Besler and Kevin Hartman. The biggest surprise in my opinion, is Wizards rookie, Matt Besler being left unprotected. Besler played in 28 of the Wizards 30 games this past year. The minor surprise is Souter being protected over Hirsig, but I have a feeling there is more to this than has been published. Also, despite was Ives says on his blog, Roger Espinoza and Chance Myers have NOT graduated from the Generation Adidas program according to the Wizards so they will be protected automatically. As for who is available to be drafted, aside from the previously mentioned Besler, Hartman, and Hirsig, the Wizards have also made available Adam Cristman, Herculez Gomez, Aaron Hohlbein, Michael Kraus, Eric Kronberg, Matt Marquess, Rauwshan McKenzie, Kurt Morsink, Boris Pardo, and Lance Watson. My opinion on who I think Philadelphia will take hasn't change though. While Besler being exposed is definitely an appealing option and I wouldn't be surprised if Philadelphia did take him, I still think Gomez is the leader to be taken. His salary, leadership, and work ethic make him extremely appealing even though his output hasn't been the best with Kansas City. You think I'm right? Is Gomez still the favorite? Or you think Besler is now? Who are you surprised was protected/exposed? The KC Wizards Juniors opened their play in the US Soccer Developmental Academy today outside Houston, as the 16's and 18's both took on Texas Rush AJ Auxerre. Both the 16's and the 18's came away with 1 goal wins over their Texas counterparts. The 16's took took their game against the Rush 1-0. Meanwhile, the 18's twice came from a goal down to win their game 3-2 over the Rush side. Both teams play again tomorrow against Texas SC DTH. They open their home season on the 29th against St. Louis Scott Gallagher Metro. Also coming up, the Juniors will make a trip down to Phoenix with the rest of the Developmental Academy teams from around the country for the Winter Showcase December 4th through the 8th. The 18's will play Seacoast United out of New Hampshire on the 4th, the Richmond Kickers out of Virginia on the 6th, and Crossfire Premier out of Washington on the 7th. The 16's will also take on Seacoast United and the Richmond Kickers, but will play Real So Cal out of California on the 7th. While the Kansas City Kings tryouts for the upcoming PASL season have yet to occur, the team's first game of the season is tonight in St. Louis. Tonight, the Kings will take on the St. Louis Illusion of the PASL-Pro division. While the Illusion are in the Pro division, the Kings are in the PASL Premier division, the larger of the two, but a lower division. Good luck to the Kings tonight and this season, they keep moving one step forward every season, if so, this year they'll hopefully bring home the title. Twitter has brought us plenty of breaking news since it's become one of the quickest ways to spread news, and the Wizards have done their fair share of it. Wizards President Robb Heineman has given fans some news today as he announced "verbal agreement on assistant coach. hopefully announe soon, after contract signed". During the announcement of Peter Vermes as the new head caoch, the team had said that they were interested in bringing in another assistant coach. It looks like they're close to naming that new assistant. We'll see who ends up in the new position very soon. The hiring of a 4th assistant coach (with Zoran Savic, Kerry Zavagnin, and John Pascarella) will make the coaching staff the largest in team history. Last night the Wizards hosted a presentation on their World Cup bid for the 2018 or 2022 World Cup for members of the "new media" aka blogs. Due to other commitments, I was unable to attend the event, but Thad over at The Back Post did attend and has TONS of great information about the bid over on his blog. I'm not going to repost all the stats and facts, but check out his blog for tons of information about the Wizards bid. Yesterday we learned the rules for this year's expansion draft, where the Philadelphia Union will select 10 players from the 15 current MLS teams to help to begin their process for building their roster. The Wizards are allowed to protect 11 players and 3 of the team's 4 international players will have to be protected. So let's start breaking down the roster and try to figure out who will be protected. First, the team's two Generation Adidas players, Roger Espinoza and Chance Myers will be protected automatically. Barring a shocking graduation for either Espinoza or Myers both will not need to be among the 11 protected players. So let's start looking at the rest of the roster. Starting with the internationals, the Wizards have to protect 3 of Zoltan Hercegfalvi, Santiago Hirsig, Claudio Lopez, and Kevin Souter. To me the choice of which 3 is fairly easy, Hercegfalvi, Hirsig, and Lopez are the 3. Souter's lack of playing time this year makes him the easy one to leave out. So 8 of the remaining 20 players will be protected. Jimmy Conrad seems certain to be protected, as does his central defense partner, Matt Besler. Besler appears to have jumped ahead of Aaron Hohlbein for the starting spot in the center of defense with Conrad. Michael Harrington, Davy Arnaud, and Jack Jewsbury also seem certain to be protected. That puts us up to 8 protected players. Unlike last year, when Seattle had already signed Kasey Keller, Philadephia has no players at all. Without that keeper, Kevin Hartman has to be considered a favorite to be protected. While he's on the back side of his career, he's been too important to the Wizards to be left off the protected list. I think the Wizards other rookie, Graham Zusi played himself onto the protected list late in the season. His youth and salary would make him a prime candidate for selectionn, so I would protect Zusi. That leaves 1 spot left, and there are two candidates for that spot, forwards Josh Wolff and Kei Kamara. While Wolff is coming off a career year, he is starting to get a little older, he'll be 33 by the time the 2010 season starts, not to mention that he's the teams third highest player. Kamara is younger, but is out of contract and is likely to want a salary around Wolff's I would guess. For me I'd protect Kamara over Wolff, his age and salary makes Wolff less appealing to Philadelphia. So here are my 11 protected players, the remaining exposed players, and those exempt from being draft. So who's likely to be selected? I think the most likely from this list is Herculez Gomez. Gomez's salary is fairly low for his experience ($54,408) and seemed to be on the outs with Peter Vermes after he took over as coach. If Gomez is exposed I think he's definitely a favorite to be selected, if anyone is taken from KC. • Teams may protect 11 players between their Senior and their Developmental Roster. • If the Player's contract expires at the end of 2009, he will still be considered part of the Team's Senior Roster. • If a Team protects a player, it is not obligated to exercise the player's option. It may renegotiate a new budget number for the player as in previous years. • If a player retires, he will not be a part of the Senior Roster, but his Team will lose its right of first refusal to him should he ultimately decide to play. • Players on a Team's Developmental Roster, other than Generation adidas players who have not been graduated at the end of the 2009 season and Home Grown Players, will be part of the expansion draft. • Generation adidas players (who have not been graduated at the end of the 2009 season) and Home Grown players are automatically protected (teams do not have to use a protected slot on them). If Philadelphia selects a Developmental Player it must offer him a Senior Roster position and he must be on Philadelphia's Senior Roster as of Roster Compliance Date. • Teams are restricted in the number of International player(s) that they may make available per the table set forth below. • For purposes of this expansion process, for US-based teams, any non-domestic US player would count as an International and for Toronto FC, any non-domestic US player or non-domestic Canadian player would count as an International. • Designated Players do not have to be protected unless the player has a no trade clause in which case he must be protected. • Once a player has been claimed from a Team's non-protected roster, that team is eliminated from the expansion draft and may not lose any further players. • Philadelphia will have the right to renegotiate a drafted player's salary (either up or down) without having to place such player on waivers or giving his previous Team a right of first refusal. • On the first day of the Discovery/Allocation Period, Philadelphia will have priority over players who played professionally in the USL First or Second Division in 2009, subject to another MLS team's right of first refusal. • The expansion draft will be 10 rounds. • Teams may make available a number of international players equal to their total number of international players minus 3, provided that if a team has 3 or less international players it may make available not more than 1. Jimmy Conrad got his 27th cap earlier today coming on for Jonathan Spector in the 70th minute of the United States 3-1 loss to Denmark. The US led 1-0 at the half thanks to a Jeff Cunningham goal, but struggled right out of the game in the second half, giving up 3 goals in the first 10 minutes of the second half. The game was a poor second half by the US, particularly defender Frankie Hejduk who played a part in all 3 of Denmark's goals. Most US fans hope this is the last time we see Hejduk in a US. We're down to only 2 former Wizards still playing in MLS, as Chris Klein and LA will meet Yura Movsisyan and Real Salt Lake Sunday in MLS Cup. Still there was more action around the world this week with FIFA international games being played. Two former Wizards competed with their respective national teams as both Shavar Thomas and Eddie Johnson played for Jamaica and the US respectively. Also a fairwell to former Wizard, Brandon Prideaux, who closed out his career Saturday night against RSL. What a sad way to do it as well, missing your teams final PK in the penalty shootout. Finally, it looks like former Wizard, Preki, is on his way to the Great White North to become the head coach for Toronto FC next season. Chris Klein - LA Galaxy - Started and played 63 minutes in LA's 2-0 win over Houston to advance to MLS Cup. Yura Movsisyan - Real Salt Lake - Started and played 72 minutes in RSL's 0-0(5-4) shootout win over Real Salt Lake. Brandon Prideaux - Chicago Fire - Started and played 120 minutes, in Chicago's 0-0 (5-4) shootout loss to Real Salt Lake. Prideaux missed Chicago's 7th and final PK on the final kick of his MLS career. Shavar Thomas - Started and played 90 minutes in Jamaica's 0-0 draw with South Africa yesterday. Abe Thompson - Houston - Did not dress in Houston's 2-0 loss to LA. Eloy Colombano - Ferro Carril Sud (Olavarría) - Argentina - Ferrocarril Sud lost 1-0 to La Emilia. Jermaine Hue - Harbour View - Jamaica - Round two in Jamaica kicks off on the 22nd of this month. Eddie Johnson - Fulham - England - Came off the bench and played 45 minutes in the USA's 1-0 loss to Slovakia. Came off the bench and played 29 minutes in the USA's 3-1 loss to Denmark. Chris Konopka - Sporting Fingal FC - Ireland - Did not play in either of Fingal's two playoff finals against Bray Wanderers, which Fingal won 4-2 on aggregate. Akeem Priestly - FK Mughan - Azerbaijan - Did not have a game this week due to the international break. Khari Stephenson - Aalesund FK - Norway - Aalesund's season is over. Matt Taylor - FSV Frankfurt - Germany - Did not have a game this week due to the international break. Ivan Trujillo - Deportes Quindío - Columbia - Started and played 80 minutes in Quindío's 0-0 draw with Atlético Huila. Diego Walsh - Wellington Phoenix - Australia - Did not have a game this week due to the international break. There's very little in this rumor right now, so take that for what you will. In a post by Ives Galarcep earlier today about the MLS coaching carousel, he makes a passing mention of Octavio Zambrano, who used to coach in MLS but has most recently been coaching in Hungary. Ives mentions Zambrano as a potential new head coach for Chivas USA, but also mentions that Zambrano is "believed to be in the frame for an assistant coaching position within MLS (with Kansas City a possibility)..." In a way this rumor makes sense, with head coach, Peter Vermes' connection to Hungary and his scouting over there, including Ferenc Béres, who played for Zambrano at his last position at FC Tatabánya. On top of that, you have comments that both Vermes and Robb Heineman have made in regards to potentially bringing in another assistant coach. With all that there's certainly enough dots to connect to think that there are some legs to this rumor. We'll see if anything comes of this rumor. The Kansas City Wizards 2 Generation Adidas players will be making their way over to South Africa with the rest of an MLS Generation Adidas team. Roger Espinoza and Chance Myers were both named to the team that will leave later this month for a 10 day tour of the World Cup hosting country. Espinoza and Myers will be competing in 3 games against Premier Soccer League reserve teams, including Ajax Cape Town and Orlando Pirates. The team will also visit Nelson Mandela's house and attend the World Cup draw in Cape Town. This is the second straight year that Espinoza will travel with the team. Last year he went with the GA team to England where they played 3 games against English reserve sides. Those that remember when the Wizards signed midfielder, Santiago Hirsig, may remember that Hirsig was released from his contract with San Lorenzo due to issues over being paid. Those issues appear to now be resolved as Hirsig and the club have apparently reached an agreement. Instead of the $1,600,000 he originally requested, Hirsig will be paid $1,080,000 over the next two years by the club. The Wizards 2009 season on the field wasn't that great, but off the field, the team has had a good offseason. Jimmy Conrad brought home the Humanitarian of the Year, Chet North brought home Head Athletic Trainer of the Year, and now the Wizards grounds crew has been awarded the Field of the Year for the Wizards home field, Community America Ballpark. The award was voted on by a panel of 6 judges who judged the facilities based on 4 criteria; playability and appearance of the playing surfaces, innovative solutions, effective use of budget and the development and implementation of a comprehensive, sound agronomic program. Congratulations to Jay Griggs, Justin Bland and Michael Moyer, the Wizards grounds crew staff. Bob Bradley had said there'd likely be some changes to the lineup between the Slovakia and Denmark games this week. Today we learned who was dropped and who was added to the roster ahead of the game on Wednesday in Aarhus, Denmark. Dropped from the roster was Clint Dempsey and Steve Cherundolo so that they could return to their clubs. Also dropped was Chad Marshall who has a sore knee. Four new players were called in to replace them. Jose Francisco Torres, Edgar Castillo, Stuart Holden, and Ricardo Clark. One name still on the roster, is Wizards captain, Jimmy Conrad. Conrad was the only field player to make the game day roster that did not see action yesterday in Bratislava. We'll see Wednesday if Conrad gets a run out against the Danes. The Wizards season is over and it's time to take a look at how the Wizards players stacked up this season grade wise. It wasn't a good season and many of the players grades reflect that. Some fan favorites suffered for the way the team had played this season as well. You can check out the midseason grades here. Davy Arnaud - C - The season seemed to start brightly for Arnaud had he had some very nice goals early on, but then things fell off. After his time away with the US at the Gold Cup, Arnaud did not look the same. He wasn't the same player Wizards fans have come to see in Arnaud. His form after the Gold Cup was completely in the tank. Matt Besler - B - A solid season from the Wizards frist round pick. He didn't do anything amazing, but was very consistent with his play, whether it was in the middle of defense or on the wing. Doesn't look like a guy who will ever overly impress, but will be a consistent player. Jimmy Conrad - B- - At times this season, Conrad showed his age and appeared to have lost a step. At other times he looked as good as he ever has. Conrad still has the smarts and the ability to captain this team and be one of the best players. Adam Cristman - INC - 5 games played, 213 minutes in a season cut extremely short by injury. I was very high on him when he was brought in, hopefully he can return to full health, but with all the forwards, you have to wonder what will happen to him. Roger Espinoza - C - Didn't get as much time this year as he did last year, part of that had to do with Lopez's move to more of a left wing position dropping Espinoza to the bench. He seemed to fall out of favor after Vermes took over so we'll see how things go. Herculez Gomez - C- - I wanted to grade him higher because I like his style of play, but he just isn't producing, only 1 goal in his season and a half here is not enough from him. He seemed to fall out of favor as well under Vermes, more so than Espinoza. With his salary being what it is, I think he's a good candidate to go to Philadelphia. Michael Harrington - B- - Harrington regained his starting spot at his best position (in my opinion), left back. With Besler's move to the middle, Harrington has been able to reestablish his spot on the left. Second half of the season for him was a much more consistent for him. Kevin Hartman - A- - The team's MVP in my opinion, if not for Hartman this team would have been a lot worse than it was. Zoltan Hercegfalvi - B - Turned into a good midseason acquisition. I want to see him get more time and would have loved to see a Hercegfalvi-Kamara lineup up top. Santiago Hirsig - C+ - Seemed to fade a bit as the season wore on. He started out well but as the league adjusted to the type of player he was teams were able to shut him down better. Aaron Hohlbein - C - Hohlbein lost his starting spot later in the season to Besler, and was unable to regain it unless Conrad was out. He didn't have a great season when he was playing, but did have some good bright moments. Jack Jewsbury - C+ - Jewsbury didn't have a flashy season, he didn't do much to really stand out during games and didn't do anything to cause major mistakes, but without the flash, the Wizards center of midfield didn't have much to it. Kei Kamara - B - Brought something to the Wizards lineup that they didn not have. He brought the size that the Wizards forward line was lacking throughout the season, while also bringing speed that wasn't as prevalent in the older legs of Wolff and Lopez. Michael Kraus - INC - Kraus didn't make a single appearance in the second half of the season after appearing 11 times earlier in the season. He, like Cristman may fall victim to the numbers game at forward with the Wizards. Not enough time overall to give him a full season grade. Eric Kronberg - INC - Out injured all year. Jonathan Leathers - C- - Had a poor beginning to the season, but redeemed himself a little bit after getting the right back starting role back under Vermes. Claudio Lopez - B+ - Lopez played a role in 15 of the Wizards 33 goals this past season, a good production amount for the Wizards former designated player, for his salary this year that's good production. Matt Marquess - INC - 85 minutes in league play, 120 in the Open Cup, not enough for a full grade for the second year defender. Rauwshan McKenzie - C- - Improved his performance while Conrad was away inn the Gold Cup, but still was a major drop in talent level from Conrad and more of a drop from the team's other two center backs that played this season. Kurt Morsink - INC - 154 minutes for Morsink in league play this season a far drop from his first two seasons with KC. Chance Myers - INC - Came back from injury and started to look like he may not be a bust but then got hurt again. Needs to get healthy and stay that way. Boris Pardo - INC - Only played in the first Open Cup game of the season. Nelson Pizarro - INC - Waived way back in May now. Kevin Souter - INC - Only played 61 minutes all season, spent much of the late season in the broadcast booth providing color commentary on Wizards broadcasts. Abe Thompson - INC - Played very minimally before he was finally traded to Houston for Kamara. Overall his performance in KC had been one of missed chances. Lance Watson - B+ - Watson lost his spot late in the season after Vermes took over, but before that point, Watson was having a career year, he seemed to have found a place at right back and had plenty of good games there. Josh Wolff - B - Wolff was hot and cold all year, but it's hard to give a guy a low grade when he sets a career high for goals in a season. Graham Zusi - C - Zusi had a decent season showed some good moves and some ability for the future but still made many rookie mistakes. Two Wizards had the honor of being called up to their respective national teams during this international break. Jimmy Conrad (along with former Wizard Eddie Johnson) were in Bratislava as the US took on Slovakia. Conrad was on the bench for the United States, but did not see the field in the United States 1-0 loss to the Fighting Jondas. Johnson came on at half time for the United States. In Holland, Kei Kamara and the Sierra Leone national team was taking on Eredivisie side, Willem II. The match was for the Ibrahim Kargbo Foundation. Kamara started for the Leone Stars as they jumped out to a 1-0 half time lead. Willem equalized in the second half and the game ended 1-1. The match raised € 1750 for Kargbo's foundation which helps in the reconstruction of Sierra Leone after their civil war. The US just kicked off against Slovakia and Wizards defender and captain, Jimmy Conrad is on the bench for the US today. Conrad is number 5 and is one of two central defenders on the game day roster with Clarence Goodson. Former Wizard, Eddie Johnson is also on the bench for the US after being called back into the US camp. The former Wizards season in MLS continues to wind down and while there weren't a lot of goals this week by players, there was some news involving former Wizards. First I've added two new players to the list, as the Jermaine Hue and the Jamaican league started up a little bit ago. And the Wizards 4th round draft pick this past year, Akeem Priestly is now playing in the top division in Azerbaijan. Secondly, congratulations to Khari Stephenson and Aalesund, as they won the Norweigen Cup this past week 2-2 (5-4) on penalty kicks. Some bad news for a former Wizard, as it appears that Preki will not be returning to coach Chivas USA next season. Taylor Graham - Seattle Sounders FC - Did not dress in Seattle's 1-0 loss to Houston to end their season. Will Hesmer - Columbus Crew - Started and played 90 minutes in Columbus' 3-2 loss to Real Salt Lake. Chris Klein - LA Galaxy - Started and played 67 minutes in LA's 1-0 win over Chivas USA. Yura Movsisyan - Real Salt Lake - Came off the bench and played 25 minutes in RSL's 3-2 win over Columbus. Brandon Prideaux - Chicago Fire - Started and played 90 minutes in Chicago's 2-0 win over New England. Carey Talley - Chivas USA - Started and played 90 minutes in Chivas' 1-0 loss to LA. Shavar Thomas - Chivas USA - Started and played 90 minutes in Chivas' 1-0 loss to LA. Abe Thompson - Houston - Did not dress in Houston's 1-0 win over Seattle. Tyson Wahl - Seattle Sounders FC - Dressed but did not play in Seattle's 1-0 loss to Houston. Eloy Colombano - Ferro Carril Sud (Olavarría) - Argentina - FerroCarril lost 2-1 to Bella Vista. Gary Glasgow - United Petrotrin - Trinidad - Petrotrin did not qualify for the "Pro League Big Six" Competition. Jermaine Hue - Harbour View - Jamaica - Round one of the Jamaican league finished up last week. Eddie Johnson - Fulham - England - Did not dress in Fulham's 1-1 draw with Wigan. Chris Konopka - Sporting Fingal FC - Ireland - Started and played 90 minutes in Fingal's 3-2 loss to Athlone Town. Did not play in Fingal's 2-1 win over Shelbourne in the first playoff game. Anthony Noriega - United Petrotrin - Trinidad - Petrotrin did not qualify for the "Pro League Big Six" Competition. Akeem Priestly - FK Mughan - Azerbaijan - Came off the bench and played 45 minutes in Mughan's 3-0 loss to Qäbälä. Mughan lost 1-0 to Khazar Lankaran in the Cup of Azerbaijan. Khari Stephenson - Aalesund FK - Norway - Started and played 120 minutes in Aalesund's 2-2 (5-4) win over Molde in the Norweigen Cup Final. Matt Taylor - FSV Frankfurt - Germany - Started and played 75 minutes in Frankfurt's 0-0 draw with Arminia Bielefeld. Ivan Trujillo - Deportes Quindío - Columbia - Came off the bench and played 73 minutes, scoring the lone goal in Quindío's 1-0 win over Atlético Junior. Diego Walsh - Wellington Phoenix - Australia - Did not play in Wellington's 1-1 draw with Perth Glory FC. The Wizards had 4 goals up for Goal of the Year, and 2 of those goals have made it to the final 10, one from each Davy Arnaud and Claudio Lopez. Arnaud's goal is his blast from the first game of the season against Toronto. Lopez's goal is his shot from midfield that looped in over Donovan Ricketts. Check out all the nominees below. Kevin Hartman had 3 saves up for Save of the Year, 1 of those saves has made it to the final 10 for Save of the Year. Hartman's save is his save in the final week of the season against DC United when he got caught going the wrong direction and made it back across the goal in time to tip Ben Olsen's shot over the net. Check out all the saves below. I've been sitting on this story for a few days looking for confirmed news of it, but it appears that Wizards forward, Kei Kamara has been called up by the Sierra Leone national team for their upcoming friendly in Holland against Willem II of the Eredivisie. Kamara's Facebook status talks about going to the game in Holland. I've found that the Leone Stars will be playing the match as a charity match for the Ibrahim Kargbo Foundation, Kargbo plays for Willem II and his foundation was set up to help rebuild Sierra Leone after their Civil War. The game is actually free for fans to watch. The Wizards season is over, and the indoor season for the KC Kings is gearing up. The two time defending Midwest Regional Champions and runner up at the PASL International Finals last year, Kings will be hosting tryouts on Wednesday, November 25th at the KC Soccer Dome. Registration starts at 12:30. The schedule shouldn't be too far behind, so when it does come out, make plans to attend a game or two or more out at the KC Soccer Dome. As speculated last night, the Wizards have officially removed the interim tag from Peter Vermes and he is now the Wizards "new" head coach. My reservations from last night still stand. I'm worried about the fact that on the surface there appears to be no change from last year. Most of these players are Vermes' players and while he's said there will be a roster overhaul it's hard to see how that overhaul will actually take place. I personally would have liked to have seen some new blood/new ideas brought in to try to switch things up a bit. But I understand to a point why the team did it, they probably don't want to have to deal with another 2-3 "rebuilding" years as a new coach brings in "his" players. This does put all the pressure on Vermes now, he is the sole public figure in the creation of this team, he doesn't have a coach below him like last year. If this team doesn't produce than it's all on Vermes and he'll have to be the next one to go. Tomorrow at the Wizards Swope Park Training Complex, the team will announce their new head coach in a press conference at 2:30 pm. There's been speculation on who the new head coach would be since the end of the season. With many of the other favorites only recently finishing their season (Preki), or still being in the playoffs (Spencer, Hamlett, Sarachan), I think the announcement is not going to be very surprising. I suspect that the team will be announcing that Peter Vermes will be taking over as the full time head coach. Under Vermes, the Wizards finished the season 3-6-3. And while the record didn't show it, the play on the field did improve under Vermes. The Star has now confirmed my assumption, as they're reporting that it will in fact be Vermes that will be named head coach tomorrow. Overall I'm not entirely sure how I feel about this move. I like that the team is making the move before the expansion draft, but would have liked to have seen KC go in a different direction. Vermes has been part of the organization that has been a borderline playoff team for 3 years now. There's been really no movement from the team and bringing in some new blood I thought might help to start that process. The US National Soccer Hall of Fame has come out with their 24 finalists for this years induction into the Hall of Fame. Six former Wizards are on the list this year, as Mike Burns, Chris Henderson, Roy Lassister, Preki, Mike Sorber, and Peter Vermes are all up for induction. Sorber, the Wizards first allocation back in 1996 is in his final year of eligibility before being moved to the veterans ballot along with Thomas Dooley, John Doyle, and Dominic Kinnear. The Wizards 2000 leader in points, Chris Henderson, is in his first year of eligibility with John O'Brien and Eduardo Hurtado. For me, Preki is the only surefire Hall of Famer in the list of former Wizards that are up for election with Sorber and Vermes being the next two most likely. The other 3 I think have very minimal chances. Voters can select up to 10 names of players on their ballot, if I had a vote, here'd be my ballot: Preki, Thomas Dooley, Earnie Stewart, Shannon MacMillan, and Joe-Max Moore. Wizards defender and captain, Jimmy Conrad has been called up by the US national team for their upcoming game against Slovakia. Conrad is one of 22 players that were called up by Bob Bradley for the first of two friendlies next week in Europe. While the US will play Dennmark only a few days after playing Slovakia, Bradley has said he's going to consider making changes to the roster before the game in Denmark. Conrad will have a fight on his hands to get playing time, as Carlos Bocanegra, Clarence Goodson, and Chad Marshall have also been called into camp and will all be competing for the starting centerback positions against Slovakia. Congratulations to Conrad. The 2009 MLS regular season saw overall average attendance drop to an average of 16,037. Down from last years 16,459. It did, though, see a new record for attendance set by the expansion Seattle Sounders FC, who averaged 30,897 over the course of the season. Here are the averages of all the teams in the league this year. Yes, once again KC was at the bottom of attendance, down an average of 633 this year, or about 6% this year. KC did up their number of sellouts from 5 to 8, but lost the bigger ticket bump that the LA game last year at Arrowhead brought. Still not the greatest numbers this year. The other thing about the above numbers is how some are higher because of teams playing double headers with more marketable games. Three teams; Dallas, New England, and San Jose benefited from being the "opening act" for a double or triple header of soccer. The biggest beneficiary was San Jose, who added 3,389 to their average attendance for a double header that included Barcelona playing Chivas Guadalajara. Second was Dallas, who saw a bump of 2,755 for their double header with the Mexican national team playing Colombia. Finally, New England got a small 743 person bump in their average from the Gold Cup triple header back in June that included the US team playing. Without those double headers, here is the average attendance looks. San Jose falls to 13th, while Dallas is the lowest attended team in the league without the help of that double header at the Cotton Bowl. Forgot to make this post yesterday, but Wizards head athletic trainer, Chet North has been named MLS Athletic Trainer of the Year. Thad over at The Back Post has a great interview up with North that you can check out as well. North is the only person with the Wizards organization who has been there since the first season 14 years ago. Which makes him one of the only people in the league who has been there since the first season, a huge accomplishment. I know from my short discussions with him during practices and the open tryouts that he has some amazing stories to tell about the history of the league. He talks a little bit about some of those stories in the interview with Thad. But he'd be one person that I'd love to read a book from because I'm sure it'd be full of great stories. Congratulations to North on winning the award. Wizards captain, Jimmy Conrad has been named Co-MLS Humanitarian of the Year along with Chicago Fire midfielder Logan Pause. Conrad had won the award for his work being a spokesperson for Athletes Against Autism and the Child Protection Center. He's also helped with the UN's Nothing but Nets campaign. Congratulations to Conrad on winning the award, yet another award to add to his long list of awards he's earned in his career. For those wanting to keep up with the potential future of the Kansas City Wizards, the Wizards Juniors U18 and U16 teams are getting ready to kick off their first season in the US Soccer Development Academy. The season runs from November to May. Both teams begin their season on the road down in Texas on the 21st of this month. They'll be taking on Texas Rush AJ Auxerre. The following day, both Juniors teams will take on Texas SC DTH. The first home game for the Juniors will be November 29th out at the Swope Training Complex when they'll host fellow Frontier Division member St. Louis Scott Gallagher Metro. That's what Wizards President Robb Heineman posted tonight over on Bigsoccer. Heineman said that "Unless the world falls apart, we will break ground this year." So while news hasn't really been forth coming in regards to what's going on with either the Legends deal or a potential deal on the Missouri side, it appears that things are definitely very close. The question now is which location. Is it going to be the Legends location right across the street from Nebraska Furniture Mart, or potentially moving back to the Bannister Mall location? Hopefully we'll find out soon, and soon after all Wizards fans will be gathering out at the location clapping and cheering as the ceremonial first shovels dig up the first bits of dirt. The list of former Wizards currently playing is getting smaller and smaller as more of the American team's seasons come to an end. The first round of the MLS playoffs are half over, so next week will be the end for even more former Wizards. Taylor Graham - Seattle Sounders FC - Did not dress in Seattle's 0-0 draw with Houston. Will Hesmer - Columbus Crew - Started and played 90 minutes in Columbus' 1-0 loss to Real Salt Lake. Chris Klein - LA Galaxy - Came off the bench and played 13 minutes in LA's 2-2 draw with Chivas. Yura Movsisyan - Real Salt Lake - Came off the bench and played 25 minutes, recording an assist in RSL's 1-0 win over Columbus. Brandon Prideaux - Chicago Fire - Started and played 90 minutes in Chicago's 2-1 loss to New England. Carey Talley - Chivas USA - Started and played 90 minutes in Chivas' 2-2 draw with LA. Shavar Thomas - Chivas USA - Dressed but did not play in Chivas' 2-2 draw with LA. Abe Thompson - Houston - Did not dress in Houston's 0-0 draw with Seattle. Tyson Wahl - Seattle Sounders FC - Dressed but did not play in Seattle's 0-0 draw with Houston. Eloy Colombano - Ferro Carril Sud (Olavarría) - Argentina - Tied 0-0 with Alvarado Mar del Plata. Chris Konopka - Sporting Fingal FC - Ireland - Sporting beat Mervue United 4-1. Khari Stephenson - Aalesunds FK - Norway - Started and played 90 minutes in Aalesunds' 1-1 draw with Strømsgodset in their final game of the season. Matt Taylor - FSV Frankfurt - Germany - Dressed but did nont play in Frankfurt's 1-0 loss to FC Union Berlin. Ivan Trujillo - Deportes Quindío - Columbia - Dressed but did not play in Quindío's 2-1 win over América de Cali. Diego Walsh - Wellington Phoenix - Australia - Did not dress in either of Wellington's 2 games inn the past week. The possibilities for for the Wizards 2010 home schedule are starting to come into view. Earlier this week, the T-Bones came out with their schedule for the 2010 season, meaning we know what dates the Wizards won't be at home due to baseball being played at CAB. We also know that the Wizards won't be playing any games at all from June 10th through June 25th due to the announcement that the league will take off during the group stages of the World Cup this coming summer. We already know that the Wizards will open the season at home on the 27th of March against DC United and that on the 3rd of April, the team will be in Houston for Houston's home opener. In the month of May, if the schedule from previous years hold true, KC will be out of town on the weekend of the 1st, as Indy car will be at the Kansas Speedway. The T-Bones season starts on May 20th, but they are not at home until Memorial Day weekend meaning the 8th, 15th, and 22nd are open for home games. They're then home for the next weekend as well, meaning that KC will likely be on the road the two weekends before the World Cup starts, meaning KC will have at least 4 straight weeks without a home games (although on two will be MLS weekends). The Wizards can be back at home the last weekend in June as the T-Bones are on the road. In July, the T-Bones are at home the weekend of July 4th, meaning no 4th of July fireworks game for KC. The T-Bones also at home the weekend of the 17th and the 24th, meaning the 10th and 31st are available weekends for the Wizards to play. The first weekend in August, the 7th is open for the Wizards to have a home game, as is the weekend of the 21st and 28th. The 14th is taken by the T-Bones. The T-Bones regular season ends in early September, the first weekend the 4th is reserved for the T-Bones. The rest of the weekends in September are open for use for home games. The only other known conflict at this time that will force KC out of town, is the first weekend in October, when NASCAR comes to town. In short, these weekends will likely not have home games (the days are all Saturdays). June 5th, 12th, and 19th. July 3rd, 17th, and 24th. And these weekends are open for home games currently, depending on how soon the season starts. March 6th, 13th, 20th, and 27th. April 10th, 17th, and 24th. August 7th, 21st, and 28th. September 11th, 18th, and 25. October 9th, 16th, 23rd, and 30th. Year end award nominees are coming out, and while no Wizards players are up the big awards, 3 Wizards are nominated for 2 awards. Davy Arnaud and Claudio Lopez are both up twice for goal of the year. Arnaud's first blast against Toronto on the opening week of the season is one of his two nominated goals. His other is his give and go play with Lopez in the team's 3-1 win over New England in June. Lopez's first goal is his free kick in KC's 1-1 draw with Chivas USA. The other goal is his midfield shot in KC's 1-1 draw with LA in KC. Arnaud's first goal is my favorite of those 4, but not my favorite overall, that's likely Clint Mathis' volley. Check out all the nominees in the video below. Kevin Hartman is also nonminated for an award, as he has 3 saves up for Save of the Year this year. The first is Hartman's stop on Eddie Gaven's breakaway in KC's 3-2 loss in Columbus in May. The second is Hartman's flying save on Chris Klein's shot on KC's 1-1 draw in LA. The final save is Hartman's save on Ben Olsen in the final week of the season when he made it back across the goal after going to his right to try and save a shot that ended up getting blocked. I liked both the second and the third save, but the second is probably my favorite of his 3 and probably my favorite overall. Check out all the saves in the video below. One of the big questions of the offseason, is who will be the Wizards coach next season? A few weeks ago after the final home game, Peter Vermes talked about potentially becoming the permanent coach for the Wizards, and Robb Heineman said that he wants to have the head coach in place before the MLS expansion draft, the week after MLS Cup. That means that Heineman, Vermes, and the rest of the Wizards staff in charge of working to find the next Wizards coach are busy trying to make their decision. There are multiple potential coaches in MLS and a few other places. With all the rules in MLS, it's good to have a coach that understands the rules, especially in regards to the roster and player limitations. And while the technical director should help to make sure that the coach understands all these rules, it definitely helps if the coach has a working knowledge. So here's a list of some of the potential candidates that I would be looking at if I were the Wizards. Peter Vermes - The Wizards technical director and interim coach seems to be the favorite right now to be named head coach. Vermes was 3-6-3 with the interim tag, but the Wizards did appear to play better under Vermes than they had under Onalfo. You do have to wonder if it'd be better to bring in a different eye to coach and help scout talent. It could also be that this will be Vermes last chance, and if the team doesn't succeed when it's all on him, he'll be gone. Preki - The Wizards legend seems to be the favorite among Wizards fans. He's led Chivas USA to the playoffs all 3 years he has been in charge, but rumor is that he could be out after this year since Chivas holds the option on his contract. While he brings a good MLS coaching record, I do have some concerns. It seems that every year that Preki's been the head coach at Chivas, the team has struggled with injury issues. One year I could blow it off as just a minor injury crisis, but 3 straight years, you have to wonder if something in the way Preki coaches is leading to all these injuries. Denis Hamlett - Current coach of the Chicago Fire, Hamlett is also out of contract after this season is over. And while he's had success on the field, some Chicago fans have wondered if that success is in spite of Hamlett. Earlier this year there was his publicized half time locker room bust up between him and Bakary Soumare. Dave Sarachan - Former Chicago Fire head coach and current assistant coach for the LA Galaxy, Sarachan has a good head coaching resume with the Fire as well as being an assistant under Bruce Arena for the US national team. He led Chicago to a US Open Cup title and the Supporter's Shield. The problem in the eyes of Wizards fans is that he (like Curt Onalfo) came up through Arena's system and not many fans are interested in repeating that process. Colin Clarke - Former head coach of FC Dallas, and current Puerto Rico Islanders coach, Clarke has gotten himself quite a reputation since moving to the USL. Under Clarke, the Islanders have made the last two CONCACAF Champions Leagues, advancing to the semifinals of the 08-09 campaign. The knock on Clarke for Wizards fans, is that it would likely be a return to a more defensive approach similar to Bob Gansler. John Spencer - Spencer is the current assistant coach under probably my favorite MLS coach, Dominic Kinnear in Houston. Spencer has played in MLS and has been learning from one of the better MLS coaches the past few seasons. The question is whether he'd be ready to leave Houston now. Last year he turned down the Chicago Fire so Spencer may not be interested in a head coaching position at this time. Octavio Zambrano - Zambrano coached in MLS back in the late 90's and early 00's with LA and New York. He coached one of the higher scoring LA teams in 1998 and a good NY team in 2000. So he knows something about how the league works. He's most recently been in Hungary coaching FC Tatabanya, the club that preseason trialist Ferenc Béres played for. So don't rule out that potential connection. Will any of these guys be the ones that are coaching the Wizards next season? It's hard to tell for sure, but I'd guess that many of these guys are on the Wizards short list for head coach and I'm sure a surprise or two will be in there as well. Got this from over at Hillcrest Road, and figured I'd pass it on cause it's pretty cool. The Wiz(ards) are one of 3 soccer teams nominated in the poll on the ESPN blog, Uni Watch, for the worst soccer uniforms. While the Wiz(ards) have plenty of potential nominees (as seen by the photo below), it's the 96-97 jerseys that are nominated in this competition. In my opinion they don't have a chance of winning as they are up against (in my opinion) the worst uniforms ever in any sport, the famous Caribou of Colorado jerseys from the NASL. Not everyone has the guts to try to pull off fringe, but the Caribous did. It's also amusing when I think about the fact that I own two of those jerseys on that list (I also own the 94 US jersey). And here's the jersey in question, along with every other home jersey in team history. photo courtesy of Thad Bell. Here are some more stats for you as the Wizards season is now over. Unfortunately most of them are depressing. You'll be seeing more stats this week as I get the information finalized. KC scored 33 goals this season, tying the 99 and the 01 Wizards for the lowest scoring team in Wizards history. KC was 4-6-5 at CAB this year, worst in the league. In contrast, KC was 4-7-4 on the road this year, 7th best in the league. If the Wizards had a more respectable home record, they would have made the playoffs this year. KC was 6-0-1 when leading at the half, second best in the league. KC also went undefeated when scoring first. KC was 8-0-4 when they scored first. In contrast, KC did not do well at coming back when down a goal. The Wizards were 0-13-3 when they allowed the first goal of the game. Against the Eastern Conference, the Wizards were 4-6-4, 16 of a possible 42 points. Take away the 5 games against New England and New York, and the Wizards went 0-6-3. The Wizards set a team record for red cards received in all competitions this season, as they received 9 red cards. The Wizards also had team records set for red cards given to opponents in leauge play(10) and in all competitions (12). This year's rookie class (Matt Besler and Graham Zusi) was the smallest rookie class to actually see the field in a league play since 2005 when Scott Sealy and Ryan Pore were the only players to see the field.